Cover of the book under review. There is no doubt that interest, respect, and readership for Anne Brontë's novels and poetry has in the last couple of decades grown astonishingly. It is now common knowledge that the first reception of an author's art is difficult to counter, especially if derision or hostility persists. Anne's first novel, Agnes Grey was not marketed well and, partly because it is not romantic, subordinated to the passion and success of Charlotte's Jane Eyre. Anne's early death enabled Charlotte to repress the radical Tenant of Wildfell Hall. When Emily's wildly imaginative Wuthering Heights began to be appreciated as a poetic text and Emily's poems read as works of strong original genius, the third sister's realism lost out again. With the portrait of Anne descending from Elizabeth Gaskell's Life of Charlotte Brontë as all docility, self-denial, conventional methodism — believing in damnation for the sinful — and, what goes with that, silent suffering, readers were left with a pale figure indeed. George Moore's praise of Agnes Grey (his best known novel is Esther Waters) was a rare voice in favor of at least that one work. The change seems to date back to Winifred Gérin's mid-20th century outstanding biography, and with the coming of literary feminism in the 1970s, Anne's woman-centered perspective was ripe for plucking. In the last 35 years, I counted at least five book length biographies — two in the last year or so, Holland's and an even more revisionist and innovative, and equally popularly-aimed, one by Samantha Ellis, Take Courage: Anne Brontë and the Art of Life. There have also been five book-length critical assessments, the most notable being Elizabeth Hollis Berry's Anne Brontë's Radical Vision: Structures of Consciousness; and two collections of essays by various hands, including the enormously useful New Approaches to the Literary Art of Anne Bronte, edited by Julie Nash and Barbara A. Suess. Over recent years too, many individual essays have brought Anne to the attention of academic and common reader alike, albeit often in women's journals. Some are on her alone, some couple her with the best and most interesting of female contemporary novelists. Finally, there has been the brilliant and widely-praised and watched BBC mini-series of The Tenant of Wildfell Hall, scripted by David Nokes and Janet Baron, as well as some equally fine professional readings aloud of unabridged texts of Agnes Grey and Tenant. Anne's poetry is now read alertly, and given almost equal attention with the poetry of Charlotte, if not with Emily's. In the group biographies Anne now takes her place as a third important presence, as in Deborah Lutz's The Bronte Cabinet: Three Lives in Nine Objects. 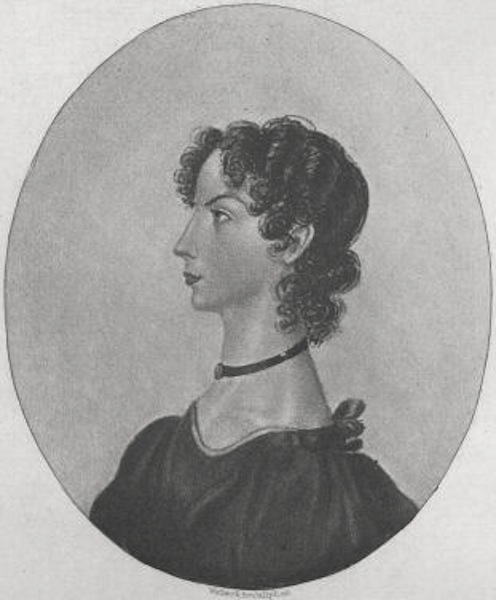 Portrait of Anne Brontē (Brontë, The Tenant of Wildfell Hall, frontispiece). Just about all agree that Anne was a courageously truthful and artful novelist, and decidedly more feminist in outlook than either of her sisters. Her eagerness to go to school, and her life's work as a governess, demonstrate that she was an active seeker of respect, social success, and a remunerative career; her (few) extant letters and preface to the second edition of The Tenant of Wildfell Hall show a determined eagerness to exert a progressive influence over the lives of other women. She was tragically thwarted from achieving these goals: the career and influence were denied her by other family members' needs and attitudes; her problem was that she died before she could press for the value of her own work and add to it. Her contemporaries, and readers until recently, have not been ready to read a courageous depiction of the miseries of marriage based on false ideals of manhood, on alcoholism, and a socially alienated account of herself as a governess in a non-intellectual family which ruthlessly exploited and devalued her and her learning Poor editions have not helped. It is now remembered that Anne's governess book preceded Charlotte's Jane Eyre, not the other way round. The problem now has become Brontë experts who regularly attack Charlotte, and champion Anne: instead of asking who imitated whom we might say that out of the same background and similar experiences, the sisters produced analogous novels. Why then must Holland go in search of Anne Brontë? What new happy new approaches to Anne's work and/or personality have Nash and Suess, and now Ellis uncovered? The controversies, such as they are, seem to be in the old areas of how far we should read a writer's novels and imaginative poetry autobiographically? This part of the debate takes us back to the traditional core of older close reading, deliberately divorced from all context. Deconstructive, and other recent theoretical points of view, declare the author unimportant, or delve into the author's unconscious life, and read novels against the grain, against the way in which they were intended to be understood. Holland and Ellis are firmly in the camp of close and not even indirect but often direct life-writing readings of Anne's two novels and poems. Anne's claim of accuracy (we'd call it realism) and moral idealism (since she was accused of being "coarse"), and of holding sincere views, are all taken as based on her understanding that she was breaking hard taboos and seeking to set free the vulnerable and powerless by telling of their actual lives. Maria Frawley's vigorous anti-autobiographical stance in her persuasive Twayne volume rejects this identification, and also the comparative analyses of the sisters' work and lives, in order (she claims) to appreciate where Anne broke from conventionality through imaginative art. A number of the critical volumes and critical-scholar essays in Nash and Suess take psychoanalytic, artistic, intertextual and generic approaches. It's true that too close an identification of Arthur Huntingdon's alcoholism in The Tenant with Branwell Bronte's distorts both Branwell's character and life, and Anne's critique of the norms accepted for masculine behaviour in her era. Holland's book is excellent, deeply felt, thoroughly researched and convincing, not just about all the siblings, and their family history, but the deeply unhealthy conditions of life in Haworth (the water just killing the residents), the effect of immediate economic deprivation and social, religious and therefore civil unrest and their and their father's experience of life. Its originality – he comes up with theses about Anne that differ from many – emerges from his closely autobiographical reading of her texts. Holland justifies the school of Anne Brontē scholarship to which his book belongs, and more generally, an intelligent comparative use of biography for understanding imaginative literature. His book's flaw may be too strong a partisanship, too much willingness to criticize those he perceives as having stymied Anne's early development and narrowed her thought (the aunt, for instance, who lived with them, Elizabeth Branwell); Charlotte Brontë emerges as having actively injured Anne, not only as a writer, but as the older sister who should have welcomed Anne into the Roe Head school, instead treating her (in effect) hostilely and coldly lest anyone think she favored her sister, then discouraging and disbelieving in Anne's love affair with William Weightman, and finally holding out against Anne's yearning to go to Scarborough in the last days of her life. Charlotte's letters show her rivalry with this youngest sister. Unusually, though, and I admit I find this something of a relief, Holland extends understanding and some sympathy for Branwell's failure to become the family's "great pride and honor" (as an artist) and does not treat him as the central blight and indeed shaping force in his nuclear family's existence — as is seen in popular culture, witness the recent (2016) BBC Wales film, To Walk Invisible. 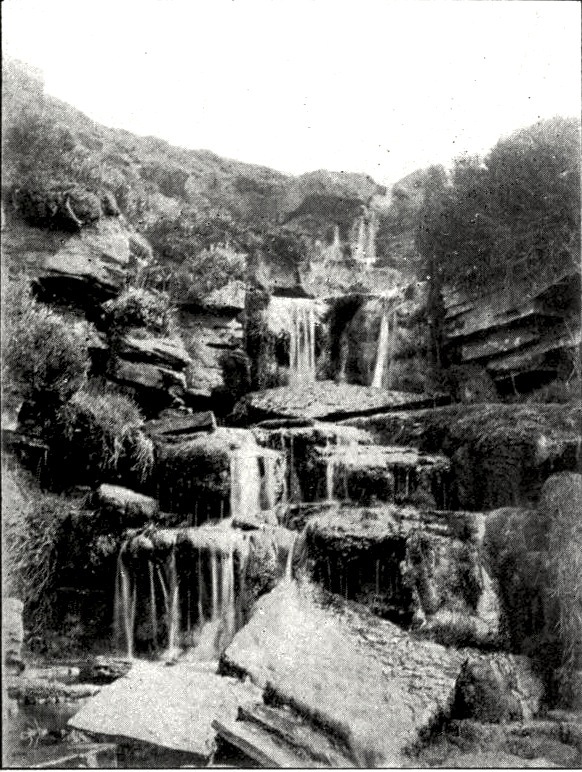 Brontē Waterfall, Haworth Moor (Wood, facing p.165). In Search of Anne Bronte is conventionally (chronologically) set up. After a prologue where we are told that Anne thought she and her sisters' novels would be soon forgotten, so she did not fear to be "candid" (she felt "shielded by [her] own obscurity," 8), we are told of the class and ethnic background of both parents, the father Patrick's early academic and clerical success, the love match, and a happy integrated social life until the pair moved into Haworth. There the excruciating death of Maria, the mother, from cancer; the self-sacrificing arrival from Cornwall of the calvinistic Elizabeth Branwell (forgoing all hope of marriage herself); the crushing deaths of the two oldest children, Maria and Elizabeth, from the harsh treatment meted out to them at Cowan Bridge school, left the family grief-stricken, relatively isolated, and with a sense of the outside world as not to be trusted. Nature was grim in tooth, nail, and mud (Chapters 1-3). Admirably, in the next chapters (4 into 7), Holland manages to make Anne's point of view prevail as he details the childhood explorations of the children, their semi-fantasy writing in tiny books, the kind of community they grew up in, and the sisters' time at Roe Head. He shows how she might have experienced and felt about what was happening. We are led through her relationships with her aunt (with whose punitive Calvinism she disagreed); Emily (to whom, tellingly despite Emily's reputation for withdrawal, she was close); her desire to go to school, to thrive there, and from that to become an independent adult, making her own living. She didn't want to remain a burden on her family, and for her own sake too she wanted to succeed outside the home, however much she treasured the Brontës' lives together. In all this we see the development of her character in a strongly moral direction. She was earnest, thoughtful, deeply affectionate, and, yes, self-sacrificing. We also see early signs of her physical frailty: her asthma, "gastric fever" (typhoid), her psychosomatic ill-health in response to the hard world she had only just ventured into as daughter, student, governess. The middle section of the book has two trajectories. The first takes us through Anne's two positions as governess, at which Holland argues Anne was highly successful, even if her employers did not appreciate her goals (she was "exiled and harassed," though not by her pupils who remained in touch with her); then the intensely emotional congenial relationship with a gentle, intellectual and well-educated curate who came to work for her father, William Weightman, and her desolation at his early death (he was also supportive of Branwell), and the funeral; the girls' failed attempt to set up a school, with the crashes and deterioration of Branwell as background. Anne was also close to Branwell, unlike it seems, Charlotte. All these events culminated in her decision to stay at home, partly to care for her father, and her determining to write novels, producing (out of her heart's blood, it's not too much to say), the extraordinary History of Agnes Grey (Chapters 7-12). Some may find Holland's heavy reliance on Anne's poetry, passages from Agnes Grey and The Tenant of Wildfell Hall methodologically unsound; to this I reply that to refuse to see the direct parallels is like (to use a modern instance) denying climate change. Each chapter of the book begins with a line, or passage (often from Agnes Grey), or a poem by Anne, and by the book's end I at least was persuaded of their high quality and individual voice. Out of this procedure Anne's presence emerges. In contrast to her sisters, Charlotte could not find a publisher for her first novel, The Professor. However misunderstood Agnes Grey and Wuthering Heights were, they were bought and read, and it was apparently on the occasion of Charlotte's taking her father to undergo cataract surgery in Manchester, when she was all alone waiting, that she began Jane Eyre. It came much more easily to her than anything she had done before. The second trajectory (Chapters 12-15) is dominated by this novel because, says Holland, it "enjoyed unprecedented sales" for a first novel, and was discussed and reviewed "rapturously" (177) and castigatingly; it called more public attention to Wuthering Heights (which was treated scathingly) and the "scandal" of The Tenant of Wildfell Hall. A chapter on this latter enables Holland to show how it candidly exposed the "the condition of women" under marital, custody, and property laws and customs. 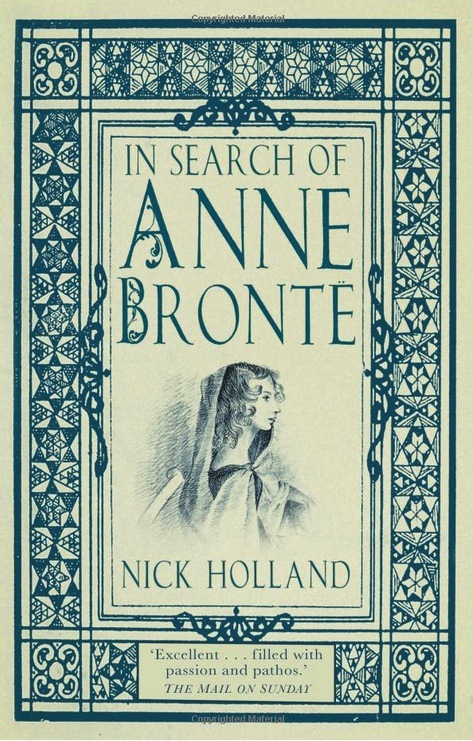 The Tenant of Wildfell Hall was the fastest selling of the Brontê novels, and Holland suggests that Charlotte was mortified to find Anne's novel attributed to her (partly a result of unscrupulous publishers). Thus the famous visit of Anne and Charlotte to Smith and Elder, Anne's one experience of London, and the beginning of a fruitful relationship between Charlotte and George Smith, from which Charlotte hoped more than Smith intended, that is to say, romantically. This section skilfully weaves letters and depictions of all three Brontë sisters, Smith himself, the publishing world, and readerships, but the emphasis, rightly here, remains on Anne, her defense of Emily's novel (which she saw as a thrilling fantasy) and her own The Tenant of Wildfell Hall, with its courageous preface. The novel was an ambiguous triumph because she saw its purpose as teaching people how to live their lives better, and, says Holland, it was "denigrated" as "immoral" and "irreligious" (199). The same charges were levelled at Jane Eyre too, as well as political radicalism in the matter of social class. 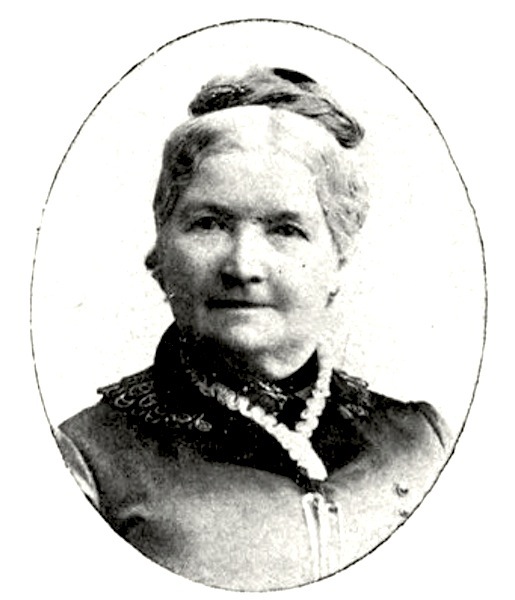 Ellen Nussey (Wood, facing p.280). The last phase of Holland's book takes us through the tragedy of Branwell's life and death, Emily's painfully obtuse (tormented) behavior as she began to die almost immediately after, and Anne's strikingly contrasting response. She did all she could to get better, to live. Then there is the final scene at Scarborough, and a discussion of the Brontës' "legacy" today (Chapters 16-19). Charlotte dominates this section far more than the others because, excepting the father, she was the strongest of the three, and she influenced Anne's reputation. Holland makes astute use of Charlotte's friend Ellen Nussey's letters to provide us with a detached view of what was happening; Anne was writing to Ellen too, and she had Ellen to thank that she was allowed her last wish, to die looking at the sea at Scarborough where she had spent summers with her second employer during the time Weightman was still alive. 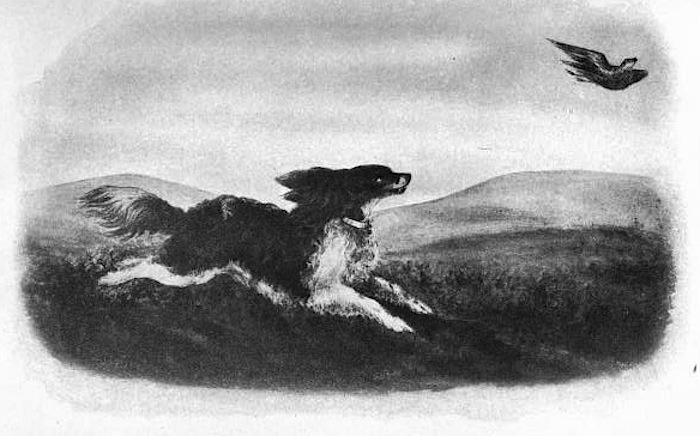 Reproduction of a watercolour painting of the dog "Floss" by Charlotte Brontė. Now in the Brontë Museum (Wood, facing p. 132). The final section is movingly written, but also shows more than any other one problem with Holland's book. I mentioned his passionate partisanship: an aspect of this is an unexamined sentimentality, and unexamined acceptance of patriarchy. Two examples: the chapter on Anne's difficult death is entitled "A Glorious Sunset." When Holland presents the scene in which Patrick Brontë required his children to put on masks and then speak boldly whatever truths they wanted, nowhere does he register how unreal such a demand is, how it encourages discomfort and hypocrisy (see pp. 43-44). Nothing brings his partisanship out better than the contrast with Ellis's Take Courage, because her book, published just a year later, aims at the same mix of popular and academic readership. With her own more down-to-earth feminism, Ellis also usefully brings in texts and images not usually connected with the Brontës' novels: for example, she suggests that Helen Graham's career may have influenced Emily Jane Osborne's paintings, The Governess, Nameless and Friendship (a painting in which a woman artist is trying to sell her pictures to a shop-owner). Ellis also chooses quite different poems from Holland, bold, searching, depressed, radically questioning — "A Word to the Elect," "A Doubter's Prayer," "Self-Communion," and her last, "A dreadful darkness closes in." Lutz, also writing for a wider readership, and exploring objects peculiarly associated with the Brontēs, suggests a presence somewhere between Holland's strongly noble altruism and Ellis's wry spirit: she points out that Anne chose from the soldier toys that her father brought home one night "a queer little thing like herself" (also qtd. in Holland 45) and called him "The Waiting Boy." Anne's dog was Flossy who, says Lutz, kept doing forbidden things. Holland does remark that The Tenant of Wildfell Hall is often very funny, but he does not demonstrate this. Holland's book is beautifully written, a labor of love. He makes a strong case for valuing Anne Brontë's work as strongly as that of her sisters, for her courage and independent outlook. It is a fine introductory volume for readers just becoming acquainted with the Brontēs, and there is much analysis to interest students and expert scholars. The medical realities of Haworth as set out by Holland are alone worth reading the book for. Holland is genuine in wanting to spread the word about Anne Brontē and get more people reading her novels and poetry. He is otherwise a best-selling author, professional copywriter and active member of the Brontë Society. He has opened a blog where he periodically offers pictures and interesting commentary on the Brontës and issues related to them (see bibliography). [Book under review] Holland, Nick. In Search of Anne Brontë. 2016: rpt. Stroud, Gloucester: The History Press, 2017. 287 pp. with notes, bibliography, index. ISBN 978-0-7509-8237-5. £8.10. [Illustration source] Brontë, Anne. The Tenant of Wildfell Hall. London: John Murray, 1920. Project Gutenberg. Transcribed by David Price. Web. 1 September 2017. [Illustration source] Wood, Butler, ed. Charlotte Brontë, 1816-1916; a centenary memorial, prepared by the Bronte society, with a foreword by Mrs. Humphry Ward and 3 maps and 28 illustrations. New York: Dutton, 1918. Internet Archive. Contributed by University of California Libraries. Web. 1 September 2017. [Nick Holland's blog]. Anne Brontë: Writer Of Genius, Woman Of Courage. Web. 1 September 2017.